For some a more detailed background on the origins of the project you can read our original introduction. But, as a quick recap, the primary goal of EnergySparks is to support and encourage schools to make long term changes to their energy consumption. The project has developed out of some ongoing work coordinated by Transition Bath. Through that project, Transition Bath has already demonstrated that behavioural change in schools can lead to a 20% reduction in electricity consumption. Our own research has shown that one local school has used its smart meter data in to reduce its gas usage by 44% and electricity usage by 22% over the last few years. Taken across the whole region, that could translate into some big savings for schools and numerous environmental benefits. 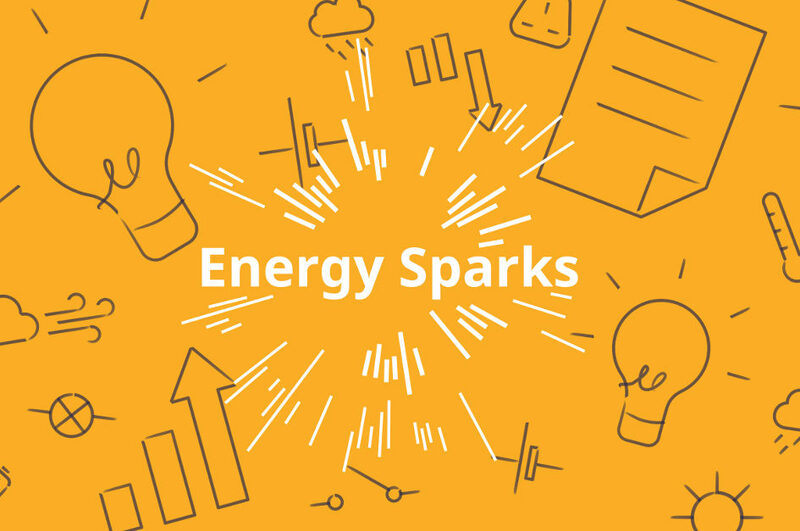 Supported by funding from our partners we’re building EnergySparks as a free service that can be used by any of the eligible schools in Bath & North East Somerset. If you’d like to sign up your school, then its easy to enrol. You can read more about the project, the data we’re publishing and how to get started on the website. We’re combining simple tools to help staff and pupils to review and explore their energy usage data, with the means to record their ongoing energy saving activities. We’re trying out some gamification elements to encourage ongoing behaviour change. More on that in another post. We’ve had great feedback on the project but we’re still at an early stage. There are a number of improvements planned to the platform over the next couple of months in order to make it easier to use in a variety of classroom activities. We’ve also learned a numbers of lessons along the way. Firstly we under-estimated the time it takes to engage with and sign-up schools. Even when you’re offering a free service that can potentially save money, its hard to contact with busy staff or governors who are already overloaded with other tasks. We’d expected that communicating the benefits of open data might be the issue, but so far that’s not been the case. If you have contacts with local schools then we’d love to hear from you. Or please point them in our direction! Secondly, the state of energy data infrastructure is actually pretty poor. It can be very difficult to get access to the real-time data that is necessary to help monitor usage. There are many different issues starting from data collection right through to publication. We’ll be writing more about that in another post, along with some thoughts on possible improvements. But, those issues aside, we’re steadily moving forward. Since the team soft-launched the EnergySparks website a few months ago we’ve signed up eight local schools, all whom are now publishing open data about their energy consumption. Last week we completed our first user testing with pupils in a local school. We’ll be sharing more about what we learned in a future update. Our goal is to fully launch the service in the autumn, when we’ll be running an energy-saving competition. The competition will be offering cash prizes for those schools that perform the best. So now is an excellent time to get your school enrolled! We’ll be sharing more updates on the project and our plans over the next few weeks.